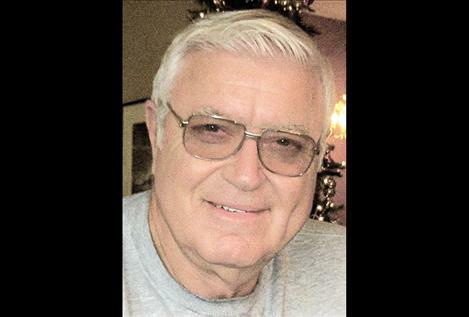 POLSON — Former Polson businessman, Weston Lee MacDonald, 77, of Polson, died Wednesday, May 16, 2018, at his home with his family at his side. He was born in 1941 to Woodroe and Marie MacDonald McDaniel. He was adopted by his maternal grandparents, W.B. and Alice MacDonald who preceded him in death. His education was in Perma in a one-room schoolhouse and later in Dixon. Following high school, he joined the Montana National Guard. In August of 1963 he married Sandra Marshall in St. Ignatius and they settled in Polson. He began working at Plum Creek in 1960 and left there in 1978 to purchase MacDonald Disposal, which he operated until selling the business in 2000. He was very active in the Polson Volunteer Fire Department, serving for 26 years, 14 years as Assistant Fire Chief. He also served on the Polson Rural Fire Board for twelve years. He was very proud to have been able donate over 100 pints of blood to the American Red Cross. His leisure time activities included fishing, (including several trips to Alaska), trap shooting, restoring antique trunks, twice-daily coffee with friends, and in earlier years, stock car racing and drag racing. Preceding him were his parents, Alice and Burns MacDonald and Marie MacDonald Vulles; brothers, Clinton MacDonald and Bob Vulles; and nephew, Codi Vulles. Survivors include his wife, Sandra; daughter, Traci (Darrin) Reid; grandsons, Carter and Collin Reid; sisters, Hyrel (Bernie - deceased) Walsh, Neva (Doug) Cummings, Lynda Vulles (Rob) Gebhardt; brothers, Mickey Vulles, Larry (Blondy) Vulles, Tim (Debbie) Vulles; sister in-law, Linda (Daryl) Way; and numerous nieces, nephews and cousins. Memorial services will be held on Friday, May 25, at 2 p.m. at The Lake Funeral Home in Polson. Burial will be private at a later date. The family suggests that memorial contributions be sent to the Life Savers Animal Rescue, P.O. Box 643, Polson, MT 59860. Memories and condolences may be sent to the family at: www.thelakefuneralhomeandcrematory.com.